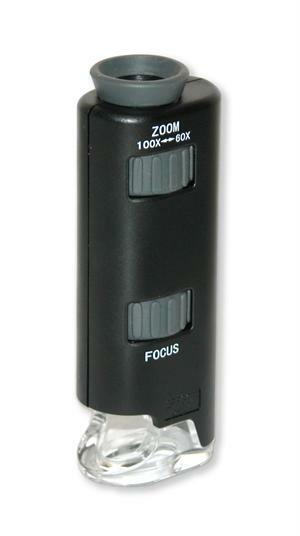 Carson MM-200 LED MicroMax Pocket Microscope is a powerful microscope with an extremely lightweight and portable design. This Pocket Microscope features a built-in LED light that provides a bright, clear image and a rubberized eyepiece for comfortable viewing. The MicroMax fits easily in your pocket so you can take it with you anywhere. Dimensions 3.25" x 1.25" x 0.75"